Well, well, well…Labor Day is almost upon us, and you know what that means: put away the linen! No, not white clothing: I wear it year-round in season-appropriate fabrics. However, last Saturday I broke out my linen fringe tank and gazebo pants from J. 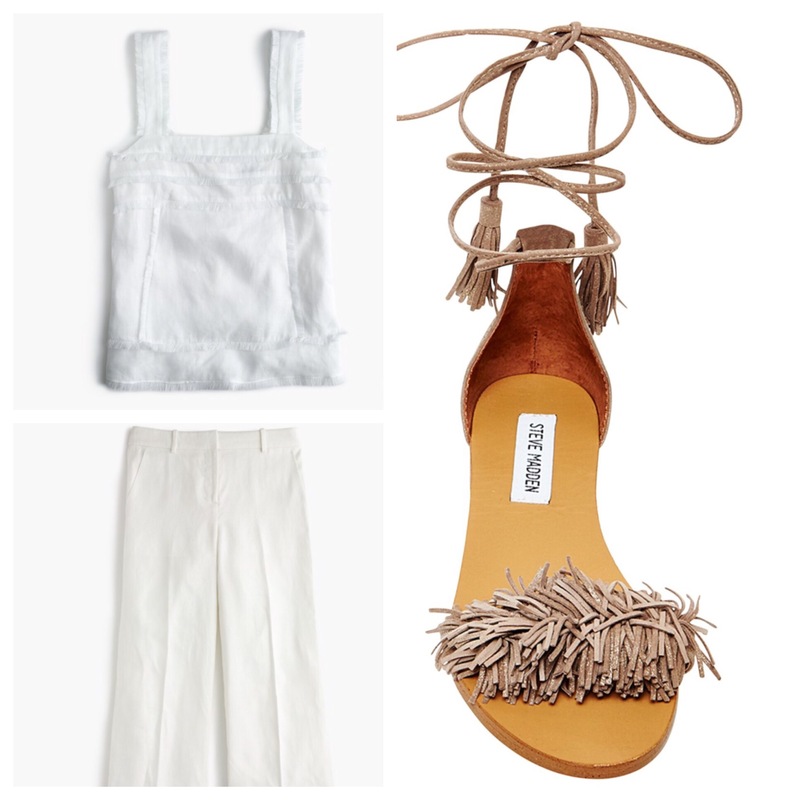 Crew to wear to a cousin’s summer afternoon baby shower, with Steve Madden’s blush “Sweetyy” flat sandal. Can you tell I’m obsessed with monochromatic dressing, and fringe?